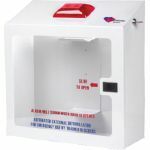 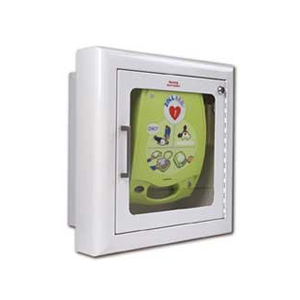 AED Floor Stand Cabinet with alarm. 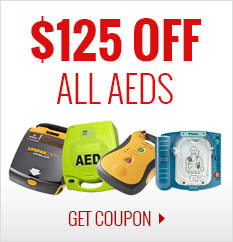 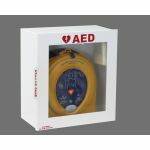 Works with LIFEPAK 500, LIFEPAK 1000, LIFEPAK CR Plus, or LIFEPAK EXPRESS defibrillators. 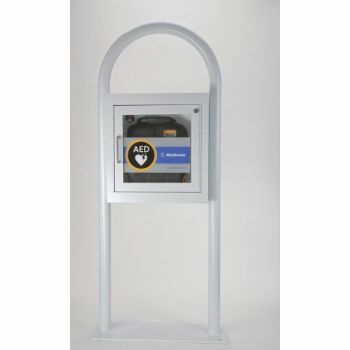 White epoxy painted steel or gray epoxy painted steel, 52" tall, 14" x 17-3/8" high x 7" deep.